Is It Too Early to Start Planning Thanksgiving? Summer memories may still be lingering, but that doesn’t mean you shouldn’t be looking ahead. As a family caregiver, planning and preparation are critical to making sure you are able to balance all of the responsibilities of your life effectively, particularly when it comes to challenging or busy times such as the holiday season. Thanksgiving is still more than a month away, but now is the time for you to start thinking about it, and making plans. Starting early allows you to feel more confident in the plans you make, coordinate with members of your family and friends who you plan to celebrate with, and make modifications to traditions and usual plans to accommodate changes in your senior’s health, functioning, dietary restrictions, and more. -Determining where you will celebrate the holiday. If your aging parent is usually the person to host the holiday at, it is important to honestly evaluate their needs and challenges, and determine if this is a possibility anymore. Consider whether you would be able to step in to help them with the responsibilities of hosting the holiday so it can still be in their home, or if another location should be selected. 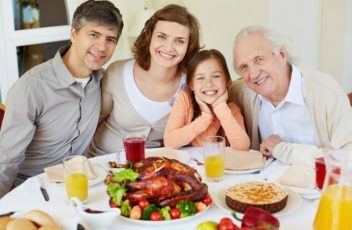 -Coordinating with family members and friends with whom you plan to celebrate to make decisions about who will attend the holiday, if you will travel to the home of another family member, and how you may handle the preparation of the holiday meal if this will need to deviate from the tradition of past years. -Making arrangements for care for your aging parent during the holiday season. Respite care can be extremely valuable during such times as it ensures your senior has access to ongoing, consistent care that supports their needs even during the chaos and busyness of the holidays. Including a home care provider in your care approach for the holiday season can be an extremely beneficial way of making the most of this season. 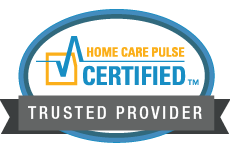 An in-home senior care services provider can ensure your parent has access to consistent care even when they are environment and schedule are changing it due to celebrations, Les availability of from you, and other shifts caused by the change in seasons. Knowing that your parents have access to this level of customized to care during family gatherings, holiday celebrations, or times when you are away can help you to relax and enjoy these experiences more. Having this care can also put your parent at ease, and allow them to feel as though they are able to participate in the experiences more effectively, and to have the care and assistance they need, when they need it, without having it to always rely on you.